Getting motorcycle finance in Perth has never been easier. All you have to do is speak to Perth’s bike loan specialists. With more than ten years’ experience specialising in motorcycle finance, I know where to find a great loan package and how to get your loan approved, quickly and easily. Having pre-approved finance means you can shop around for the perfect bike, knowing exactly how much you have to spend. And getting pre-approval is quicker than you think. We offer fast same-day approvals. If you’re worried about the risks of buying a bike from a private seller, we’re here to help. I’ll inspect the bike for the financier, check if there is money owing on it, and whether it’s been stolen or written off… all at no extra cost. Whether you’re buying from a private seller, at an auction, from a dealer or just looking to refinance, I’ll get the right finance for you. 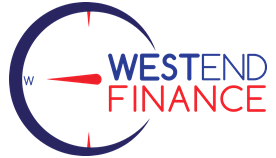 Buying a new bike is a luxury that not everyone can afford, but getting your hands on a great pre-owned bike is easy, with Westend Finance. I’ll help you get where you’d rather be, cruising with your new toy. Whether you’re interested in a new or second-hand bike, make sure you speak to me before you buy.